Experienced designer and marketer brings strategy to Drive My Way as Marketing Demand Generation Manager. Drive My Way announced that Kerry Marinchick has joined its team as the Marketing Demand Generation Manager. Drive My Way matches CDL truck drivers and owner operators with jobs based on their qualifications and lifestyle preferences. 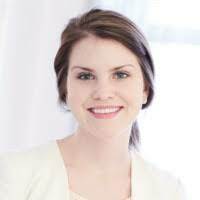 Marinchick brings over 5 years of experience in digital marketing, graphic design, and lead generation to Drive My Way. As an innovative expert in the field, Marinchick is entrepreneurial and dedicated to continuous learning. In her last role, Marinchick oversaw the organization’s digital marketing practice and technology, driving growth and revenue for the company. In addition, outside of her corporate positions, Marinchick developed profitable e-commerce and marketing side-businesses. 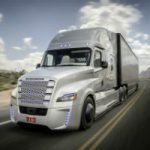 Drive My Way™ is a unique, personalized recruiting marketplace powered by a platform that matches CDL drivers and owner operators with jobs based on their professional qualiﬁcations and personal lifestyle preferences, such as schedule, type of haul, benefits and more. Drive My Way matches drivers with jobs that allow them to live the lives that they want and matches carriers with talent that is both qualiﬁed and engaged. 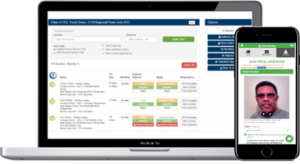 Drive My Way’s driver-centric technology lets both the driver and recruiter know how well they match to each job before entering the hiring process; shifting the focus from quantity and volume to quality and best fit. Owner-operator and songwriter Bill Weaver released a holiday song about how Santa calls on truckers to help deliver Christmas gifts. 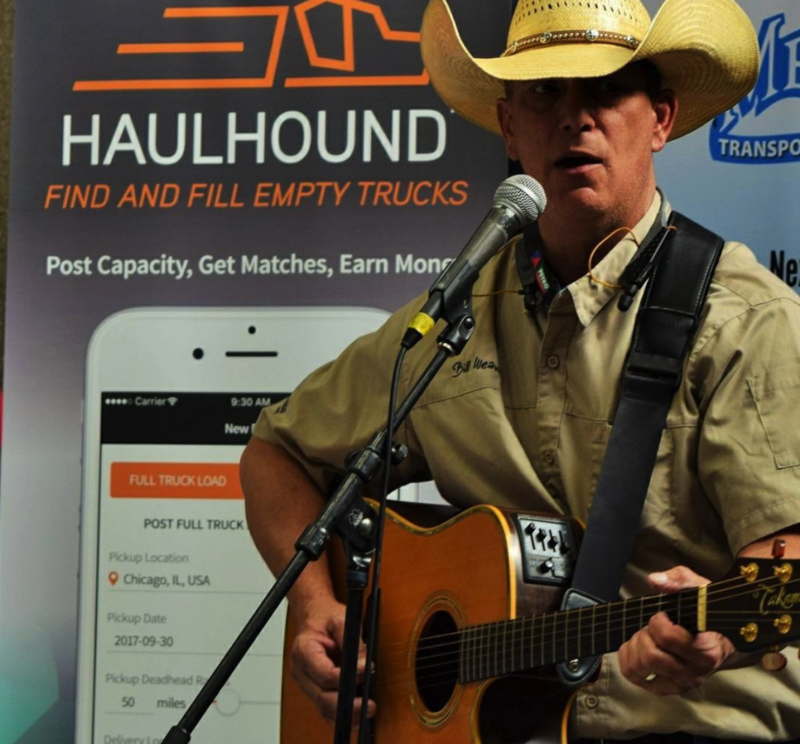 His song, How the Truckers Saved Christmas, tells of how Santa was pulled over by the DOT, and called on “a thousand long-haul drivers” to cover his run that night. Then, the tune goes on to tell how hard all truck drivers worked hard to deliver Christmas gifts. They receive a special “thank you” gift from Santa in the form of a thermos of coffee, “the keys to a brand new Pete and special set of studded snow tires.” However, the DOT got a different kind of gift. In addition, Weaver released his last hit last song, “Burnin’ the Old School Down”, this past summer. 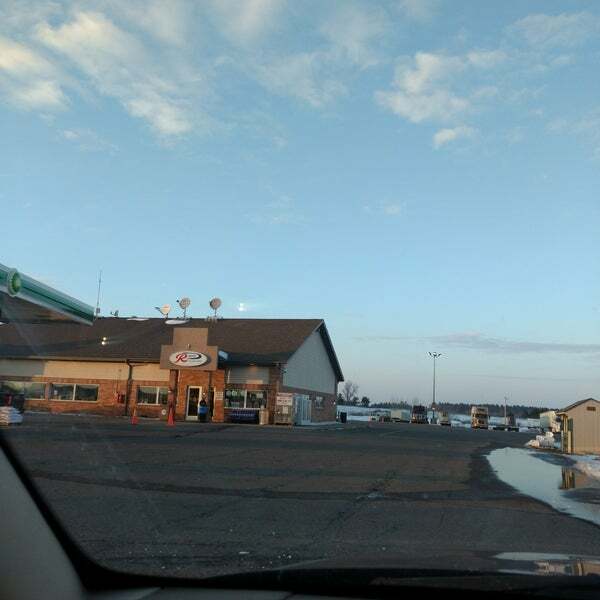 Truck Path, an app that utilizes crowd-sourcing technology to view information about truck stops throughout the country, has released its own list of the top ten best truck stops. In addition to showing parking space availability, the app gives truckers the ability to rate travel centers on a scale of 0-5, based on qualities like best food, fuel prices, cleanliness and other amenities. Currently, the app supports over 50,000 truck stops in both the United States and Canada. Stops with things like showers, free Wi-Fi, and laundry facilities were most highly ranked by drivers. 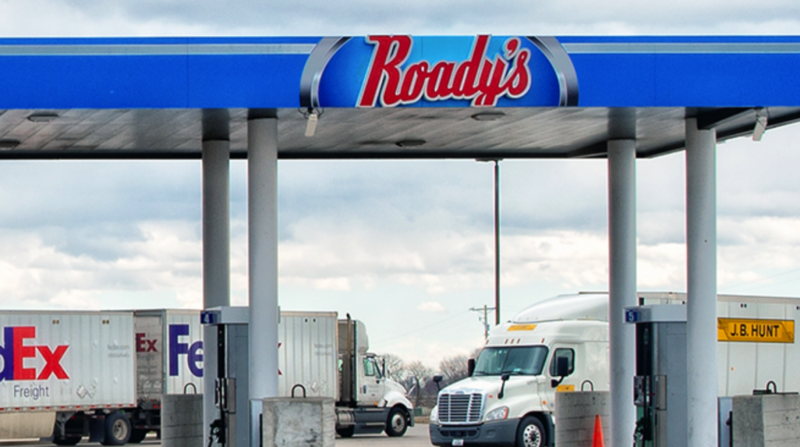 Overall, independently owned truck stops ranked far better than corporate-owned facilities. 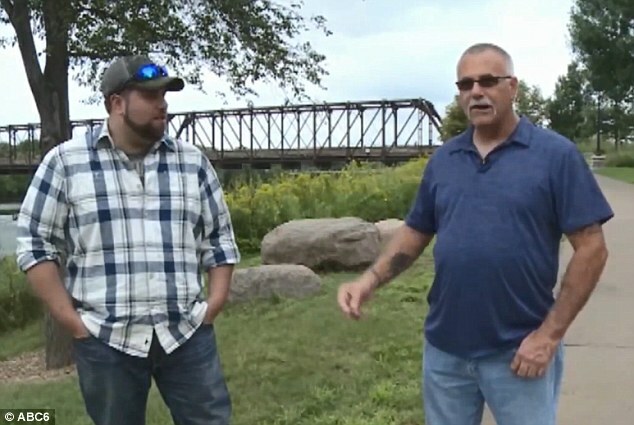 Two Wisconsin truckers have discovered that a professional relationship is not the only thing they share: they’re actually father and son. Nathan Boos has always known that he was adopted, but never asked his adoptive parents who his birth parents were. According to Eyewitness News, Boos’ adoptive mother was looking at his Facebook one day, and happened to notice that Nathan was friends with his birth father, Robert Degaro. Shocked, she brought it to Boos’ attention. Only then did they realize the most ironic piece of the puzzle: Degaro and Boos have been co-workers for two years as CDL drivers at the same trucking firm. “It’s still kind of a shock, and there are days I’m not sure exactly what to say or how to act. I mean, he is my son, but we didn’t have that father-son relationship growing up. And then we became working partners before we knew who we really were,” says Degaro told Eyewitness News. “We’re just taking one day at a time, one mile at a time as we say,” says Boos. “Back then I wasn’t much of a dad,” Degaro stated. According to Daily Mail, Degaro didn’t have much of a say when Boos’ birth mother gave him up for adoption. “His biological mom had chosen the adoptive parents because they were somewhat related — distant cousins, I believe. But I didn’t know that,” Degaro said. A university in Corpus Christi, Texas, developed a free training program for vets exiting the service. The Skills for Transition Program, a part of the Texas Operation Welcome Home Program, focuses on reintegrating military members into their communities post-deployment. 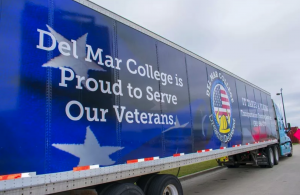 For example, one of its most recent projects is a training program through Del Mar College to help recent veterans become CDL truck drivers. 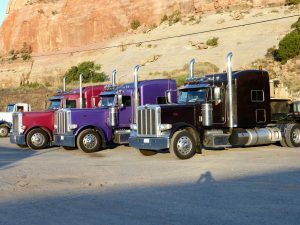 According to recent findings, the trucking industry has become a good fit for many military personnel after their discharge. Also, according to Department of Motor Vehicles, their dependability, sense of teamwork, and situational awareness make veterans ideal driving employees. In addition, driving jobs offer some much needed financial and lifestyle consistency that many vets crave after being overseas. Also, the course consists of four weeks of daytime classes or 10 weeks of night classes. Overall, the goal is to create the marketable students who can be hired upon completion of the course. For example, U.S. Express Inc. offers jobs to veterans who complete this training through their apprenticeship program. In addition, with this training and apprentice opportunity, veterans earn both their CDL A license and make money within weeks of returning home. 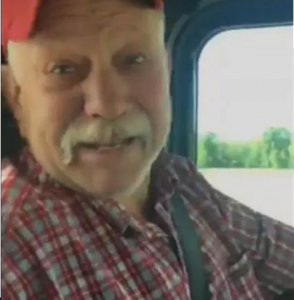 A 40-year career trucker who has inspired millions over the past few months through his now-viral video has died. After discovering he had stage four colon cancer in May, Tulsa, Okla., CDL driver Delvin Simmons recorded his last trip and shared it on social media. “If I had had a colonoscopy five years ago, this may have all been different,” Simmons told News On 6. Simmons said he was devastated to hear the diagnosis after his first colonoscopy. His doctors believe they could have detected and treated the cancer if Simmons had the procedure 10 years prior. Simmons spent his remaining days focused on family, music, and promotion of the importance of colonoscopies. “I wanted to make that video for my kids in case I did not make the journey through this cancer,” Simmons said. To share his story, he took to the road as his son, Justin, recorded the trip. They blasted Simmons’ favorite song “The Old Man Is Dead” by Del Way. The video has over 4 million views on Facebook. “I have sat in this hospital and I have cried. Not for sadness but because I am overwhelmed at what God is doing with that song,” said Simmons. Read more about Simmons’ story at News On 6. 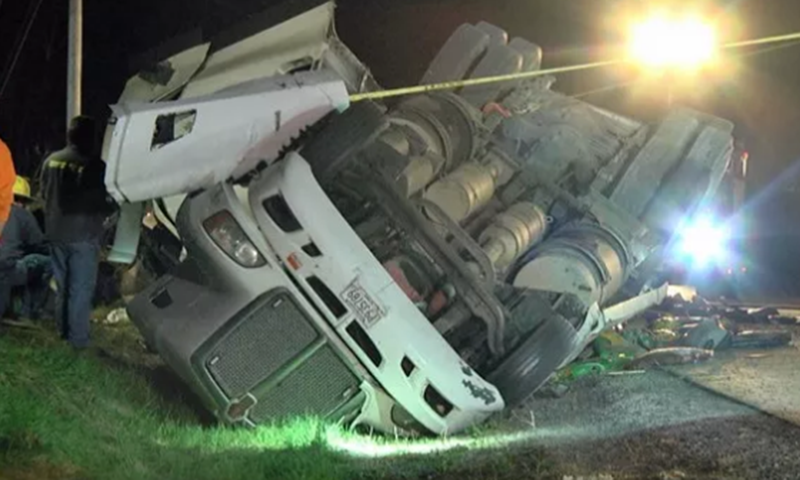 A CDL truck driver and his dog are alive and well after narrowly escaping from a crash. As reported by WWNY, the unnamed driver was traveling down New York Route 37 outside Theresa, when a deer ran into the road. The driver swerved, overturning his cab and trailer. And then, both the driver and his dog were trapped for nearly 45 minutes before rescue teams could get to the crash. Both the driver and his dog were taken to a local hospital and animal clinic respectively. A California high school may be the first in the country to offer a commercial driver training program to its students. Dave Dein, a teacher in Patterson, California, has helped establish a student driver-training course. As a former truck driver, Dein believes that the training he received early in his career gave him confidence. Therefore, he wanted to offer a similar benefit to current high school students showing an interest in the driver field. While he also operates an adult driver-training program, Dein focuses on younger students who may need a non-traditional outlet for learning aimed at “[those] that needed to find something they could connect with,” according to the March 29th issue of Fleet Owner. The students undergo 180 hours of classroom instruction before spending 20 hours in a truck simulator. After completing the program, students may obtain free behind-the-wheel training with Morning Star Trucking or enroll in Dein’s adult education driving training program. Also, Morning Star, a former employer of Dein, is additionally offering students summer employment transporting tomatoes. The graduates of the high school program can earn more than $10,000. Other program participants are Penske Logistics and Worklete, which teach ergonomics and injury-prevention skills. For more details on this junior training program, please click here. A solid wall of trucks formed to help prevent an attempted suicide in Detroit early Tuesday morning, and it worked. The Michigan State Police flagged the trucks between one and three a.m. The police requested that the driver form a line beneath the I-696 overpass in both directions. The intent was to prevent the potential jumper from hitting the ground, or a passing vehicle, should he have leaped. In addition, with the trucks in place, the police managed to talk the man down from the overpass. And then, a member of the police force thanked each driver personally with a handshake for having contributed to the joint effort. Truly, such a positive result could not have been achieved without the wall of trucks. 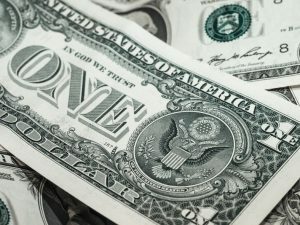 The American Trucking Association reports that salaries for all types of truck drivers are steadily rising due to increasing drivers in demand. The current salary for national irregular route full truckload drivers has risen more than $6k to $52,000 since 2014, while private fleet drivers are closing on $85,000, an 11% increase over all. As salaries skyrocket, industry pundits believe 2018 is the year when pricing power officially shifts from shippers to carriers. Also, shippers complain about and resist rising rates. They reduce time wasted at loading docks so that drivers avoid delays. Finally, current predictions suggest that at least 900,000 new drivers will be needed over the next decade, 49% of which will fill in for pending retirees. To learn more, click here.